When we began to look for a house to buy late last December, we planed to have the purchase closed before May so that we could take advantage of the $6,500 homebuyer tax credit from the government. That’s why we started well ahead of the deadline to give us plenty of time to find the house we like and finish the purchase before April 30th. However, buying a house isn’t like buying a shirt. If you don’t like the shirt you bought, you can always return it and get a refund. You can’t really rush when buying a house, even when there’s a $8,000 (for first-time homebuyer) incentive. Fortunately for us, the whole process was rather smooth. It took us a little over 3 months to find the house we like. We signed the contract in the middle of March (actually, to qualify for the credit, only a signed contract before May 1 is required, but the sale has to be closed before June 30th) and the purchase was closed one month later, before the tax credit expired. When the American Recovery and Reinvestment Act of 2009 was signed into law in early 2009, the tax credit was only one of many measures designed to boost the economy that was at the peak of the recession. It turned out, however, to be the most popular incentive. It was so popular that Congress had to extend the benefit to April 2010 when it first expired in November 2009. And the tax credit did exactly what it was designed to do: Help the housing market. According to data released by the National Association of Realtors (NAR) early this month, April pending home sales rose 6% from March and a whopping 22.4% increase compared to the same period in 2009, when the credit was also available. The significant increase in home sales in April underscores the role the tax credit played in the housing market, even though temporarily. We won’t have the May data until July, but nobody seems to expect the same level of sales as in April because Congress did let the credit expire on April 30th. For those who did sign the contract before the April 30th deadline, but may not be able to close the transaction by the end of this month for reasons that beyond their control, such as loan application, home repair, or bank approval for short sale, etc., the tax credit may be once again extended. There was an article on MSN Money yesterday about the possibility of extending the credit. 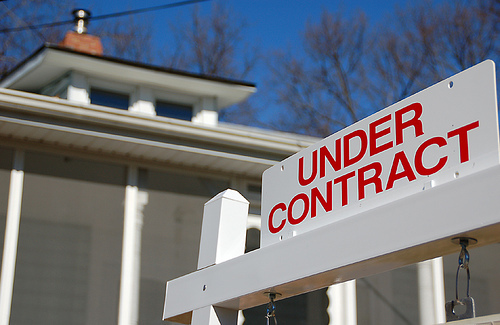 According to the article, the NAR estimated that there are between 55,000 to 75,000 homebuyers who signed the contract before the Apirl deadline but won’t receive the credit because they won’t be able to complete the purchase before July 1st for various reasons. It does seem to be unfair to leave those buyers out. After all, they did meet the first deadline to sign the contract, the part of the whole procedure they had more control with. I think it makes some sense to extend the closing deadline. If people did what they could to close but weren’t able to, say, because they couldn’t find a day as so many other people are trying to close, then they shouldn’t be penalized for it. Cool, I’m looking to buy sometime soon too! Not to be argumentative here, but I think this credit has been extended long enough. It’s not as if it was open for some 6 month window. I bought my house over 2 years ago and got the first version of this credit. Nobody forced anybody to wait until the very last minute for this credit. Can we just let housing correct itself all on its own here? I guess the proposal isn’t really that every new homebuyer will get the credit if they just start to buy a home now. Rather it’s for those who met the first April deadline already. You know buying a home could a long time, even after you sign the contract. It definitely shouldn’t be an open-ended policy. I’ve had a signed contract on a house since mid-March. Problem is, it’s a short sale with two lenders who both have to approve the deal. It’s June 23rd now and we STILL haven’t gotten approval from the second bank. For those of us who seemed to have met the first deadline it doesn’t seem fair to lose the credit just because the banks take a long time to sign off on a pre-foreclosure.